Would you recommend The NoPhone to a friend? 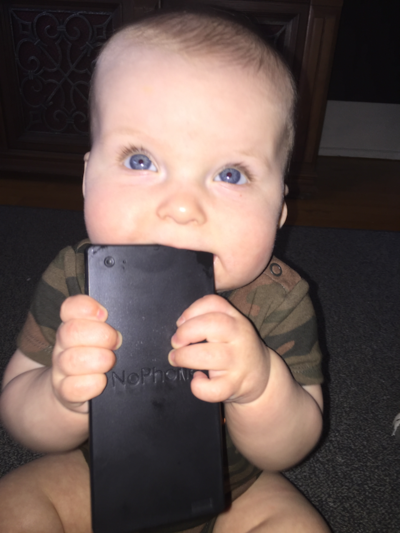 I bought one of these for my 8 month old boy because he kept chewing on my iPhone. He loves it. @mattpickle_ Haha - thats so amazing! @bentossell my same thoughts watching the Shark Tank episode..
@bentossell "This isn't an April Fool's joke." might be one of the best taglines you can put on a product. @ambonium @bentossell To be fair, the bar for TEDx talks is a lot lower. My phone already has this function built in - it's called 'the off button'.